Some people’s teeth are whiter than others, but it’s safe to say that most of us want our teeth to be pearly white! If you are one of those people, then teeth whitening from Advanced Cosmetic & Laser Dentistry can help you achieve that beautiful smile you deserve. 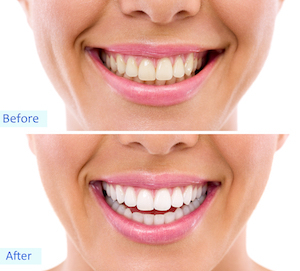 In this post, we want to share some tips on teeth whitening and what we can do for you! The first tip seems like a no-brainer, but many individuals still forget this practice. We are talking about daily tooth brushing. Brushing your teeth with a soft toothbrush and fluoride toothpaste is one of the best ways to keep your teeth clean and prevent tooth decay. Often our teeth become discolored or stained because of what we consume (drinks, food, etc.) but when we brush our teeth, it curtails the damage. Sometimes the discoloration is too severe to be reversed by home remedies. That’s where teeth whitening from Advanced Cosmetic & Laser Dentistry in Seattle comes in. It’s just one of the cosmetic dentistry procedures we have that can improve any smile. Schedule an appointment with us today. ‹ Are You And Your Child Protected From Injury? Use the form below to ask a question about How To Get The Whitest Teeth and one of our expert team members will get back to you shortly.